Giving of your time, talent and treasure are known to be at the heart of a true volunteer. Michael Cooper personifies that volunteer’s heart. He is glad to help and the humility of his character shows to whoever speaks to him. His father and mother were very involved in community organizations. He laughed at the thought that perhaps their volunteer work had rubbed off on him. Michael worked in his family’s business for almost 30 years and spent several years helping his wife at her physiotherapy clinic where by chance, he met someone who helped change his life. One of his wife’s patients was an elderly woman whose niece brought her to the clinic weekly. While her aunt received treatment, Michael had many hour long chats with the niece and slowly revealed his life story. She asked him if he would like to return to university and assured him that she could make it happen. A week later she returned and announced that she had registered him at Concordia University. He was on probation but it was a start. Michael worked very hard to succeed but barely passed his midterms and was very discouraged. Undaunted he sought help from the guidance department. They encouraged him to see a psychologist who administered almost twenty hours of testing over a two-week period. She revealed to him that his learning struggles, which had plagued him since early childhood, were due to a classic case of ADD (Attention Deficit Disorder). They helped to handle his situation and in his second year of studies, he improved his grades so much that he received a scholarship for the highest GPA in his age group. That was a huge boost for Michael. He was then able to enjoy his studies in Creative Writing and English Literature. 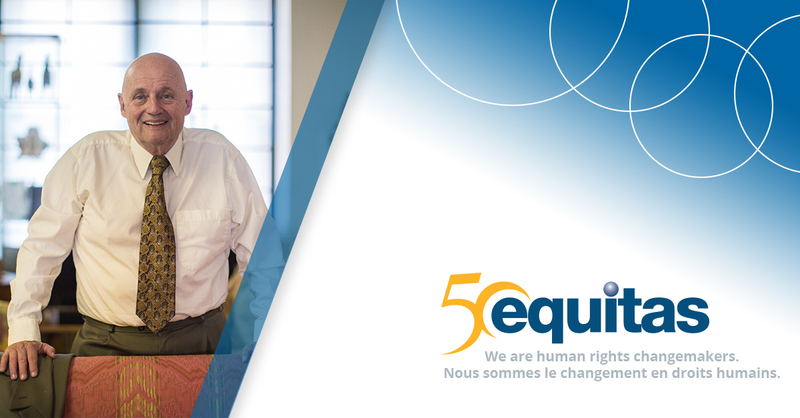 Over the years Michael has contributed to Equitas in a variety of ways including printing manuals and posters. He has also contributed his time at Equitas’ International Human Rights Training Program (IHRTP), in Montreal, Canada, for the last eight years. Michael has a love of photography and has acted as Equitas’ in-house photographer for many events. He stated he would love to do a photojournalism project in the future. But how did he come to learn about Equitas? It’s always interesting to learn the path people take that draws them to an organization. In 1977 Michael decided to take a course to learn Japanese (his wife’s ancestry), and met a British lady, Ruth Selwyn, who was working for the Japanese Embassy. They became friends and have remained friendly for almost forty years. Ruth became eventually the Executive Director of Equitas. Every year Equitas organizes the IHRTP where dozens of human rights educators come from around the globe, and one of the events consists in having dinner with a Canadian family. Ruth asked the Cooper family to participate, and this was Michael’s first involvement with the organization. Michael started volunteering for Equitas in earnest in 2009. He stated, “When you have a fit, it’s so much easier to maintain.” He loves them – because it’s returned. Michael goes to many events to help put forth a friendly face for Equitas. He also works for some other non-governmental organizations. He said he tries to do well because it is also good for him. Equitas is his first love, and he believes very strongly in their mission. He stated, “They are not throwing dollar bills at a problem. 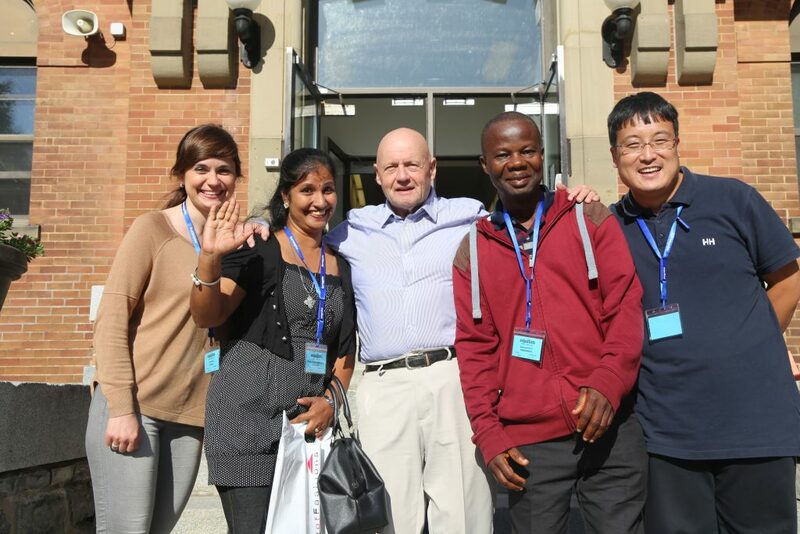 They train people who believe in human rights… Equitas is sending people to countries – and their approach is right on. Give a man a fish and you feed him for a day; teach a man to fish and you feed him for a lifetime.” He agrees with that philosophy and that way of doing things. The last message that Michael Cooper, volunteer extraordinaire, would like to impart to the public is how important it is for those who have ways and means to have a social conscience. He feels lucky to have hit on his exact forte. Do something you like and the Universe will lead you where you need to be. Member of the Association of Personal Historians and Board Member/Marketing Director.